Italian police have arrested a tombarolo with an 8-foot ancient statue not far from Rome. The statue may be worth €1 million. They believe the statue may be of Caligula, and may even have been looted from Caligula’s tomb, which has not been discovered. We surely won’t know if this tomb or the site was the actual tomb, but if looting is destroying the archaeological record, we are losing information. Might the record have given us information on Caligula, who may have received a bad rap from the sources which have survived antiquity? Contemporaries describe the emperor as insane, saying he appointed a horse as consul, slept with his sisters, and killed often. But these might have been claims made by his political enemies in the senate and elsewhere—perhaps not too different from today’s politics. After all, how could the son of Germanicus (my favorite Roman) have been such a bad guy. 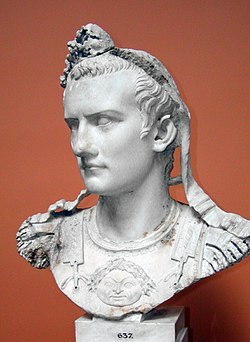 Caligula only ruled from AD 37-41, before he was assassinated. Tom Kington, Caligula’s tomb found after police arrest man trying to smuggle statue, The Guardian, January 17, 2011, http://www.guardian.co.uk/world/2011/jan/17/caligula-tomb-found-police-statue (last visited Jan 18, 2011). Next Next post: What’s the Difference Between a Pawnshop and antique shop?